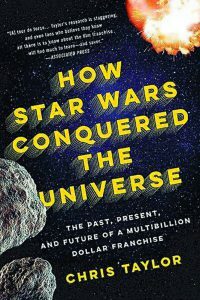 I recently finished reading How Star Wars Conquered the Universe. The first half of the book talked about how the original trilogy came into being, but I enjoyed the second half more which talked about the cultural impact of the movies and why the prequels were flops. The biggest revelation to me was about why George Lucas keeps changing the movies as he releases them on different mediums: in his mind, the movies are a work in progress. He had to make a bunch of compromises to get them produced and as he has more technology and money available, he’s able to remove some of those compromises. Makes sense to me. After reading the book, I wanted to rewatch the movies (at least the original trilogy.) I’m kind of a fringe Star Wars fan. I really enjoy the movies and can quote some of the famous lines, but I couldn’t have told you the full story arc. It’s impressive how well those movies hold up. The editing was well-paced and the special effects generally don’t look too bad. The battle maneuvers and tactics are the only thing that really makes me realize their age. People just stand up in the hallways and shoot at each other with some random ducking thrown in. And why can’t anybody use a sight on their rifle? Maybe you wouldn’t miss people at point blank range if you weren’t shooting from the hip! Thank you to Ken for loaning me the BluRay edition of the movies!